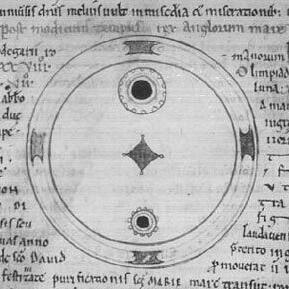 Photo:A drawing of a sunspot in the Chronicles of John of Worcester. A drawing of a sunspot in the Chronicle of John of Worcester. Created: The author died in 1140 AD so it's from before that.